My favourite feature in Horizon: Zero Dawn is easily its comprehensive photography mode - what better way to show off a game this beautiful? 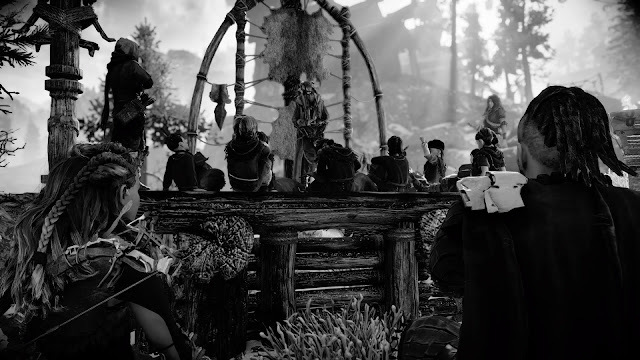 In Horizon, at any point whatsoever, you can pause the action, enter the photography mode, and have access to a full 360-degree camera that lets you snap stills of Aloy, and whoever she's talking to, and whatever she's doing, at any angle whatsoever. 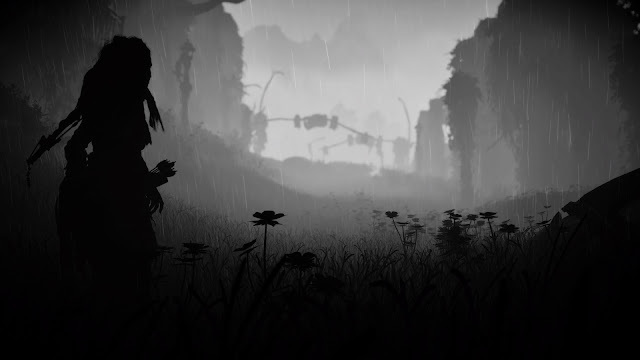 I've always had a deep love for photography, especially high-contrast black & white photography. Back at university I got my first digital SLR camera, and from that point onwards I have been obsessed with recording the wonderful things I see and do in the world; for example, I have a library of over 10,000 images from Japan from the trips I've taken there over the years. 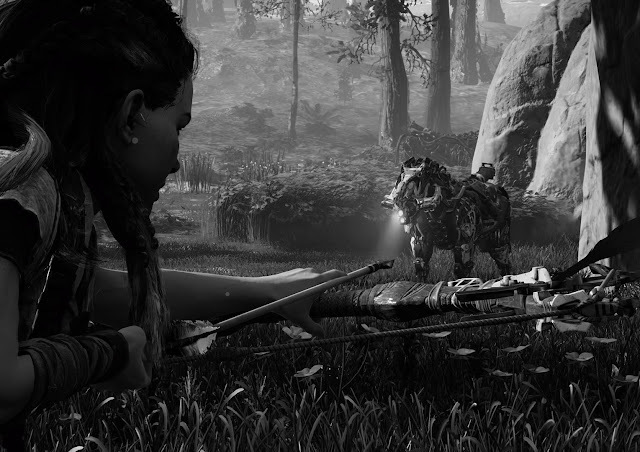 With the power that modern consoles afford developers, I do feel like every single game out there should have the option to at least do away with the user interface, pause the game, and manipulate the camera around the lead character. It shows confidence in the game's engine and art direction by the developer, and, indeed, there's commercial value to it too. 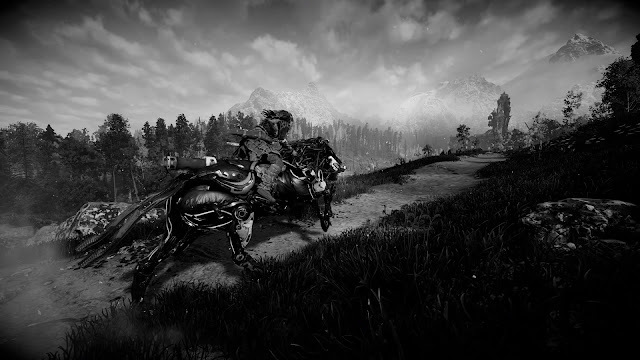 With more and more people sharing screenshots on social media (heck, there's a button to do it right on the PlayStation 4 controller) developers effectively get free marketing if they can provide the player with the tools that they can make their own glamour screenshots. 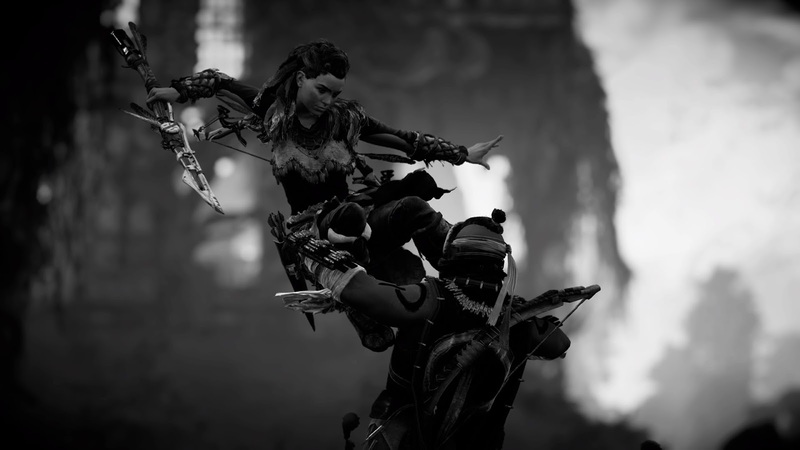 And so, in Horizon: Zero Dawn, I've spent a great deal of time doing just what the developers would like me to do; taking screenshots, and, now, sharing them. 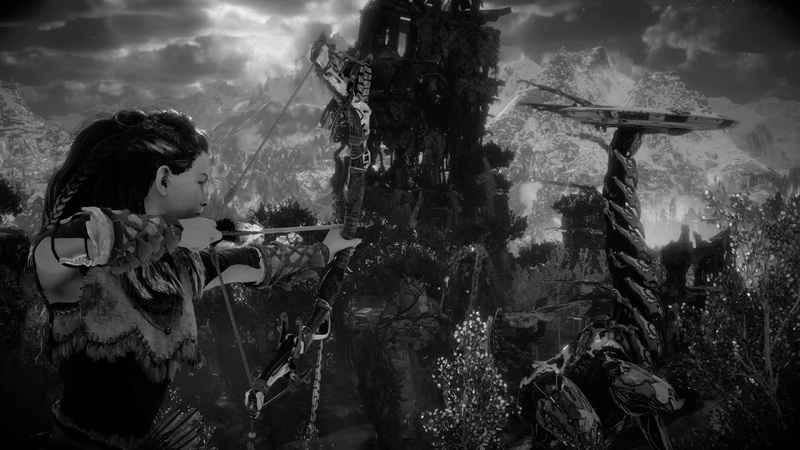 I've already taken some 700 screens of my adventure. 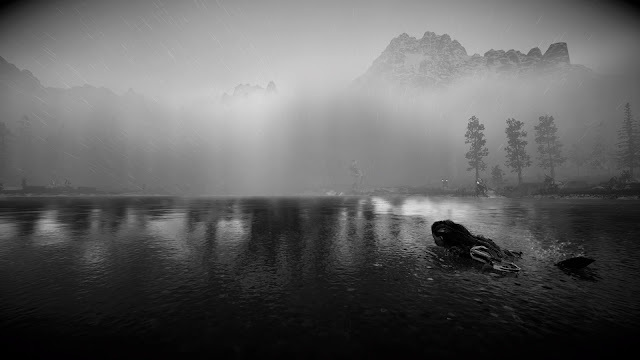 The screens in this article are from the first 15 hours, because I don't want to give too much away, but as you can see, it's possible to take some truly beautiful, evocative, moody screens in this game. 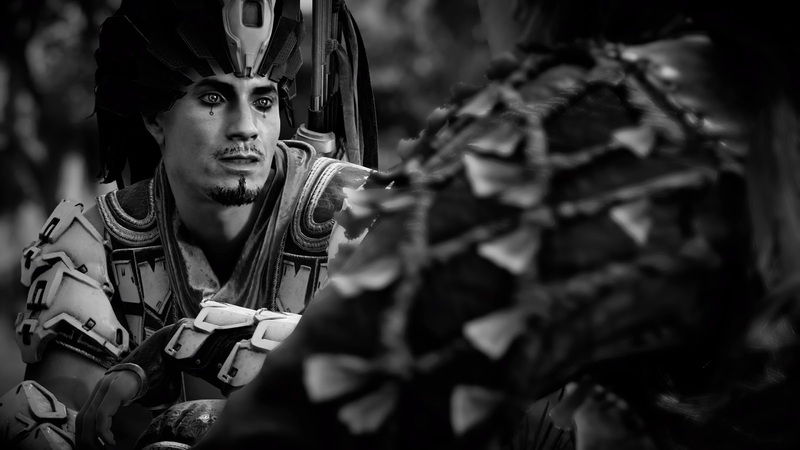 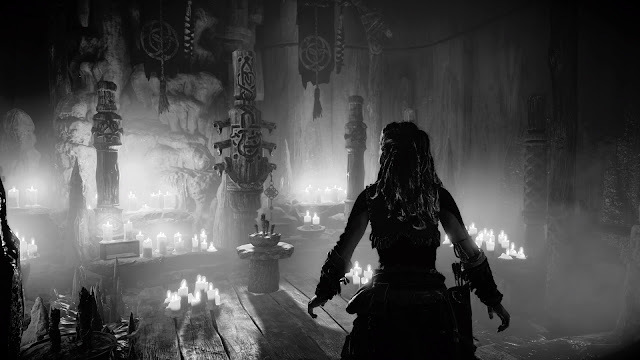 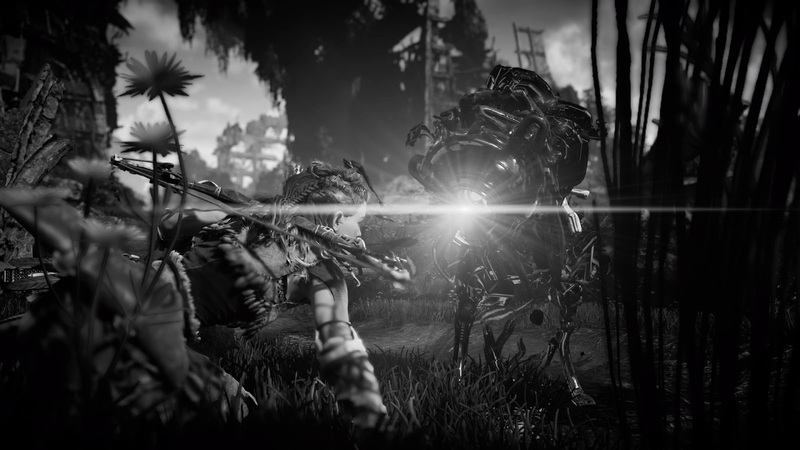 It's like an entirely different world when shot in black and white; I actually wish more developers would take a risk with the aesthetic because black and white is truly beautiful when done well. 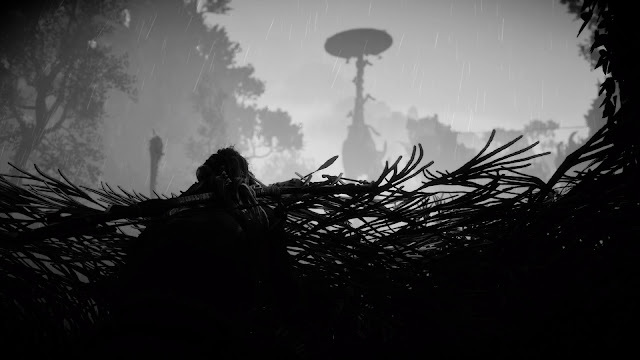 If you've got any favourite screenshots from Horizon - or any other game that allows you to manipulate the camera and take your own shots, then please do share in the comments!